Home / Food / Main / Pizza / Shakey's / Smoked Salmon Pizza / Shakey's: Smoked Salmon Pizza (Limited Time Offer)! 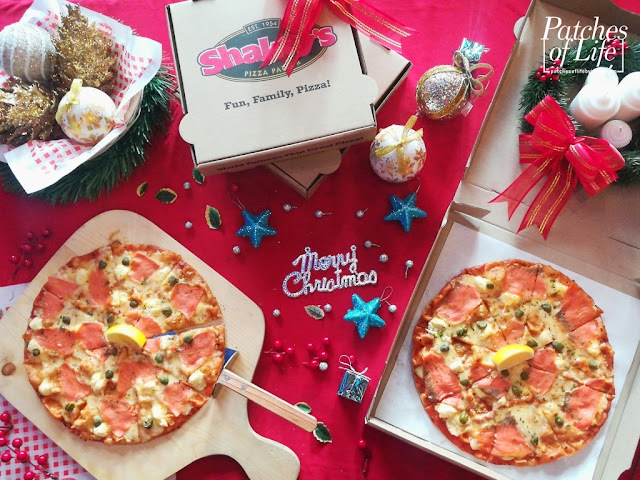 Shakey's: Smoked Salmon Pizza (Limited Time Offer)! 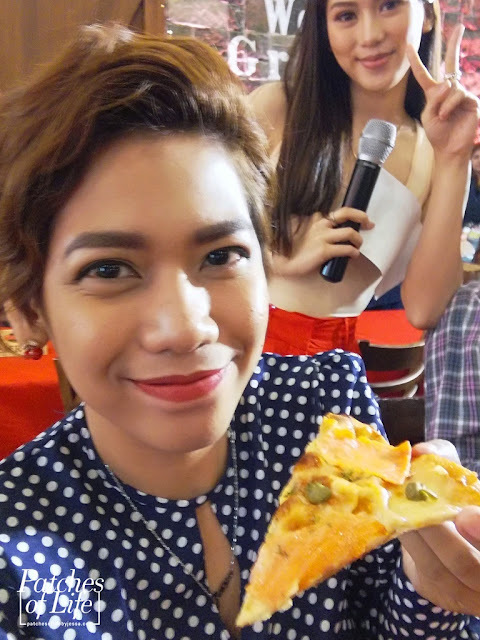 Another new and exciting flavor from Shakey's! 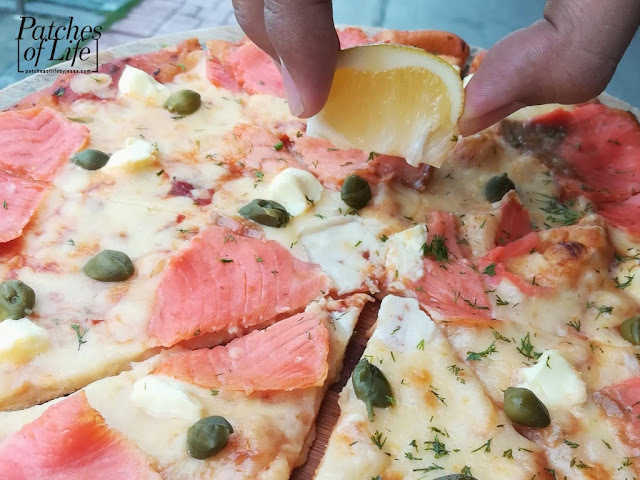 This time, it's a seafood favorite -- Smoked Salmon Pizza! 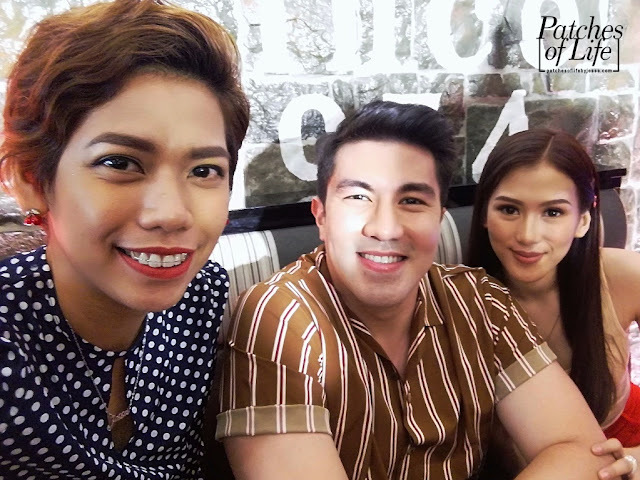 You might have seen the catchy commercial featuring Luis Manzano and Alex Gonzaga. Thanks to this TV ad, I learned how "salmon" should be pronounced.. uhmm... yeah. 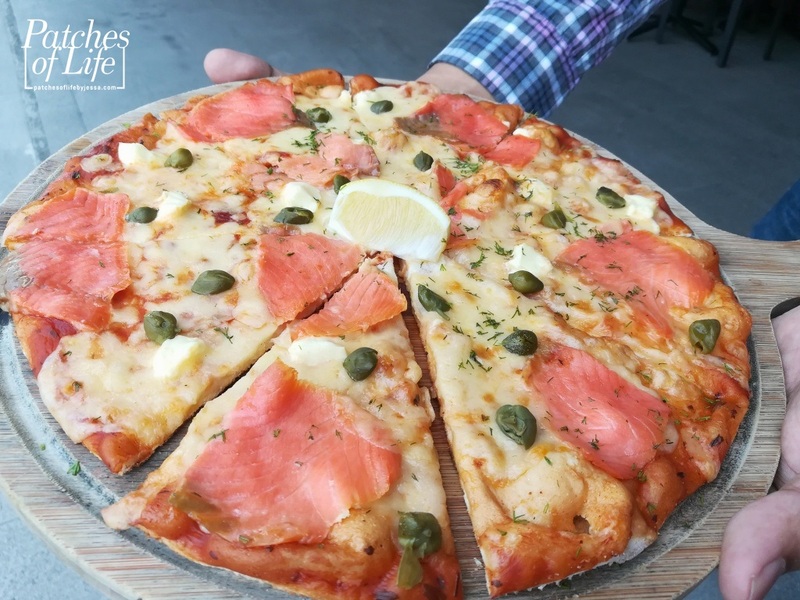 It's the new Smoked Salmon Pizza, or should I say, #SamonPeecha! 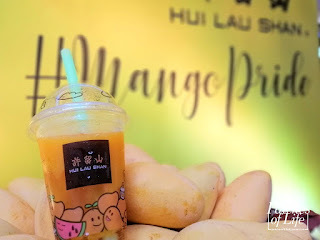 Shakey's did it again -- creating a unique and interesting flavor. 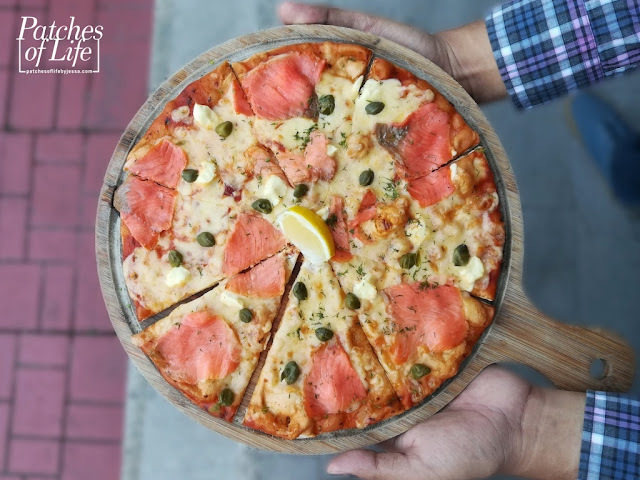 From Scallop Primo Pizza, Cali Kani Pizza (which I have posted here: http://www.patchesoflifebyjessa.com/2017/07/shakeys-cali-kani-pizza.html), Louisiana Shrimp Pizza, to Angus Burger Pizza. Just in time for the holiday season, another out-of-the-box flavor is offered to our tables. My take? Well, I've always thought that salmon isn't for everyone, what more the idea of seafood pizza. It's either you'll love it so much, or you'll say it's not for you. But it is definitely worth a try! add a squeeze of lemon! The combination is powerful. 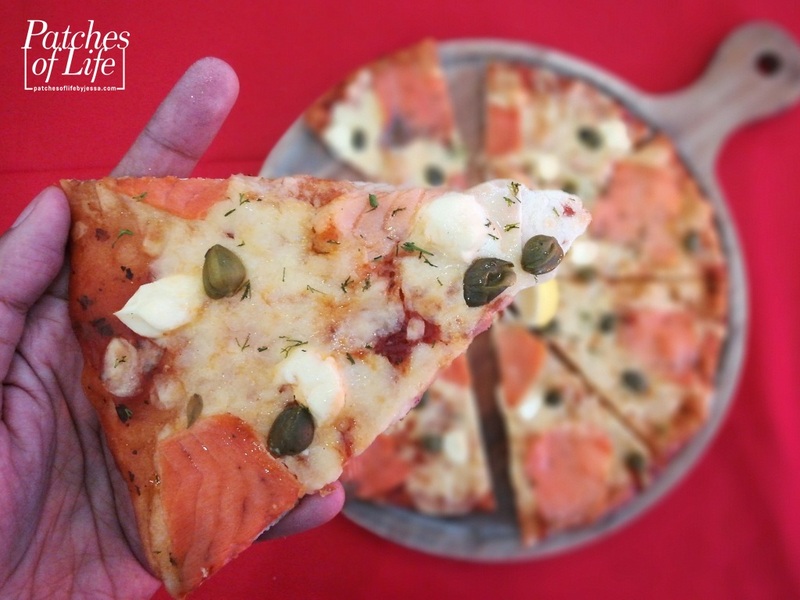 Thin smoked salmon slices harmonized by rich mozzarella and cream cheese. The capers strike with saltiness and zing, while a sprinkle of lemon adds the zest -- all on top of baked crust pizza. It's a great mix of bursting flavors that's never boring and truly enjoyable! Have a slice, or two, or more! Priced at Php550 for large thin crust, taste the new Smoked Salmon Pizza in your nearest Shakey's store, or call 77-7777, or log on to www.shakeyspizza.ph for delivery! Available for a limited time only!